OUR OTHER CURRENTLY FEATURED BOOK, “FLOAT,” BY JoeANN HART, CAN BE FOUND, ALONG WITH THE “FIRST TUESDAY REPLAY,” BY SCROLLING DOWN BELOW THIS POST. OR, JUST CLICK THE AUTHOR’S NAME ON OUR AUTHOR PAGE. SUMMARY: Soon after Jacki Skole brought home an eight-week-old puppy from a New Jersey rescue organization, she wondered how such a young animal could have so many idiosyncrasies—so she set out to find an answer. Dogland, an extraordinary mix of memoir and investigative journalism, follows Skole’s journey to trace the origins of her newest family member. Amid the serious issues facing shelter dogs in America, Skole found tireless animal advocates and humble visionaries who believe their ideas and their passion can save canine lives throughout the South—and the entire United States. This award-winning book offers a thoughtful and inspiring look into America’s dog crisis and how we can come together to resolve it. THE BACK STORY: Galen is my second rescue dog, and as with my first—Gryffin—I always wondered about her life before me. With Gryffin, I asked questions but never sought answers. With Galen, my life was such that I could endeavor to seek answers. What I quickly discovered was that every answer raised another question, and before long, my journalist’s instincts were telling me that I’d stumbled onto a story that needed to be told, and more importantly, a serious problem that needed to be solved. Healthy, adoptable dogs are being euthanized daily in public animal shelters. 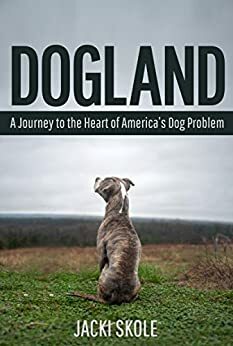 The subtitle: A Journey to the heart of America’s Dog Problem clues the reader in to the plot while piquing curiosity—America has a dog problem? WHY SOMEONE WOULD WANT TO READ IT: This is a book for everyone who loves dogs and cares about their welfare, be they dog owners, shelter workers, or people involved with rescue organizations. Perhaps the greatest feedback I get is from people within animal welfare who tell me that Dogland has opened their eyes to aspects of the problem that they didn’t know or hadn’t considered, and from owners of rescue dogs who tell me that so many of my questions about my dog mimic questions they harbor about theirs. AUTHOR PROFILE: Jacki Skole is an award-winning journalist and adjunct professor of communication. 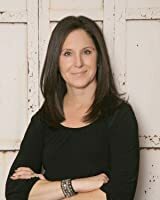 She launched her journalism career at CNN, first as a news writer, then as a producer in the network’s documentary unit; she’s also produced programs for Animal Planet and HGTV. Skole has taught at La Salle University, Rider University, and Raritan Valley Community College. She is a book reviewer for EcoLit Books and a reader for Creative Nonfiction.